Assisted Transportation goes out of their way to make my job easier. Thank you for taking care of our school district’s specialized transportation needs. 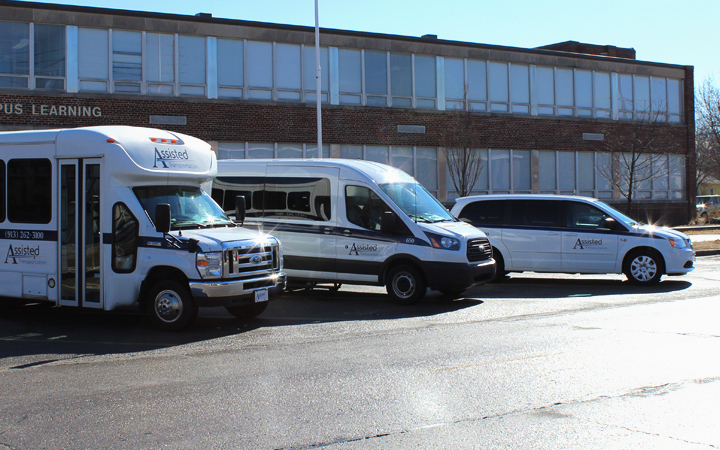 Assisted Transportation operates a fleet of minivans, full-sized vans and shuttle buses to provide transportation solutions for local school districts. Our passengers include students with special needs, students covered under the McKinney-Vento Act, students living out of district and hard to serve trips. We transport students to and from school, job sites and other locations throughout the day. Our drivers and aides are trained to work with students with special needs, including students in wheelchairs and students with visual or hearing impairments. The safety of the students, our drivers and the general public is our number one priority. Our drivers have excellent driving records and enjoy helping children. Contact your local Assisted Transportation office to learn more about our Student Transportation. The person behind the wheel makes the difference. Our drivers are carefully screened and complete thorough and ongoing training. Our fleet of newer vehicles, including wheelchair accessible vans, allow us to meet a variety of specialized transportation needs. Providing outstanding service is our privilege. Our uniformed drivers operate clean, well marked and well equipped vehicles. © 2019 Assisted Transportation. All Rights Reserved.